These sunflowers caught my eye as I was traveling around Los Angeles, California some years ago and I just had to paint them! This is a limited edition of 250 giclée prints on watercolor paper. 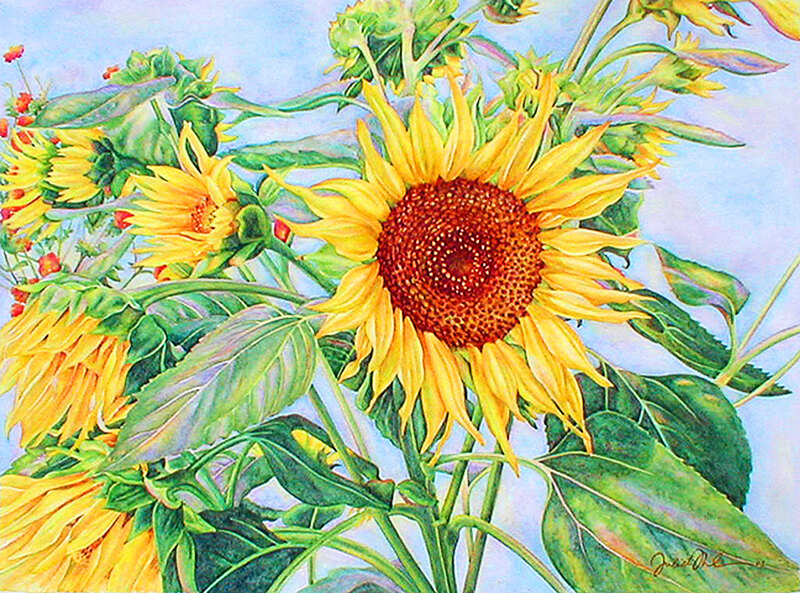 The original Sunflowers watercolor painting has been sold.